Details: Should you go to Heahea City, you will be given a Poke Ball that someone in the Aether Foundation found that someone had accidentally left behind. 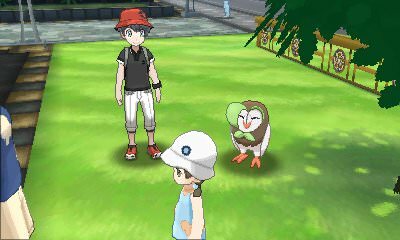 If you take it to Malie City and give it to a young girl there, the Poke Ball will contain her grandfather's Dartrix. Since the Dartrix would like to remain within that family, the girl will decide to train it for her own. She will then give you the Mental Herb.